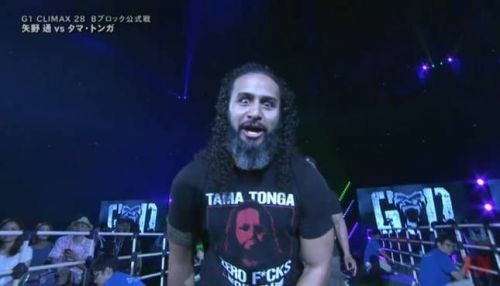 WWE/NJPW News: Tama Tonga spoils The Elite's arrival in WWE? The Bad Boy spoiling things yet again? In another recent heated exchange on Twitter, Bullet Club OG Tama Tonga seemed to have spoiled the future of The Bullet Club Elite by directly claiming that the group consisting of Cody Rhodes, The Young Bucks, and co. are all headed to the WWE. Tama, alongside Tanga Loa and Haku, put one of the most gruesome beatings of all time on The Bullet Club Elite at The Cow Palace, following Kenny Omega's successful IWGP Heavyweight Title defense against fellow stablemate Cody Rhodes. Shortly afterward, it was revealed that the mastermind behind The Firing Squad's attack was non-other than Bullet Club OG, Bad Luck Fale, who had initially ordered the hit on The BC Elite. Earlier this month, at NJPW: King of Pro Wrestling, former IWGP US Champion Jay White, alongside Gedo and Jado joined forces with The BC OGs. Whereas, it was also announced that Aussie sensation Robbie Eagles will also join the faction later this year during the Super Jr. Tag Tournament alongside Taiji Ishimori. The on-going feud between The Bullet Club OGs and The Bullet Club Elite doesn't seem to be showing any signs of slowing down as members of the two factions are constantly taking barbs at each other on social media. Within these past few weeks, we have already seen several exchanges between Tama Tonga, Kenny Omega, Cody Rhodes, and The Young Bucks and in another recent tweet, 'The Bad Boy' wished The Elite good luck in their journey in the WWE, prior to claiming that without The Elite wouldn't even have existed without The Bullet Club. As noted, for the past few months now, several rumors have suggested towards the fact that The Elite are likely to head to the WWE once their contracts expire in 2019 and further speculation could also be made after The BC Elite members (except Kenny Omega) released their final 'Bullet Club' style shirts on social media. Furthermore, Tama also took jabs at BC Elite member Hangman Page, who of course, has been on WWE's scout list for a while now. Adam Paige coming out with his last #BulletClub affiliated T-shirt HA!! Who the F# were you before then??? ....#EXACTLY. Good luck in WWE. Tama Tonga and Tanga Loa are currently set to work the upcoming NJPW shows, whereas, The Young Bucks have also been confirmed for to work for Ring of Honor for the rest of the year. However, as of right now, things are still pretty unclear if The BC Elite will re-sign with NJPW/ROH once their contracts expire in 2019 or all of this could either be some outstanding work courtesy of The Bullet Club.